Dr. Emily Hildebrand is a cognitive scientist by training with specialized expertise in human factors along with 8+ years of healthcare-specific experience. Emily has performed various human factors evaluations such as usability testing, workflow studies, and use-error analyses with regard to medical devices, systems, and environments for industry-leading clients. Her industry experience includes managing product design and user experience-related projects for Fortune 100 and Fortune 500 clients across a variety of fields including medical devices, consumer products, instructional materials, and internet sites. She also has extensive experience with product failure analysis and expert witness litigation support. 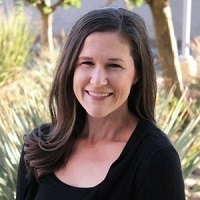 Emily earned her Ph.D. in Applied Cognitive Science at Arizona State University, during which time she worked at the Mayo Clinic performing prospective observations in the operating room and conducting research on surgical teamwork, handoffs, and flow disruptions. Prior to that, Emily conducted research at the Phoenix VA Health Care System to determine human factors issues involved in the reprocessing practices of reusable medical equipment. This research culminated in design guidance recommendations to FDA and AAMI for improving the usability of reprocessing instructions for use (IFU).